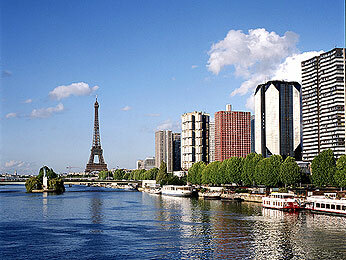 Stay in the heart of the capital at the Novotel Paris Centre Tour Eiffel hotel. Whether you’re planning a romantic weekend, family vacation or business trip, you will enjoy the hotel’s spacious, comfortable rooms in the City of Light. The best monuments, museums, shops and meeting venues in Paris are easily accessible. Relax in the fitness room or indoor pool or taste authentic Japanese cuisine in the Benkay restaurant. Enjoy the Parisian lifestyle at Novotel. With 3000sqm of multimedia space entirely privatizable and modular on two levels, Novotel Paris Tour Eiffel accompanies you during the preparation, the implementation and the success of your events.Our team is focussed on the success of your event, hoosted by the sense of service and always paying attention to details: floral decoration, sound and light, signs, the quality of food and the security as well !An event manager will be at the organiser’s disposal and will constantly make sure your event is a success.